​Charnia masoni was the first Ediacaran fossil to be recognised as coming from demonstrably Precambrian strata and therefore played a fundamental role in demonstrating that the Ediacaran biota lived prior to the Cambrian Period. Charnia, like two other uniterminal rangeomorphs Trepassia and Vinlandia, has 'undisplayed' and 'furled' branches alternately arranged along a frond that is elevated into the water column on the end of a short stem. A holdfast disc is sometimes preserved. 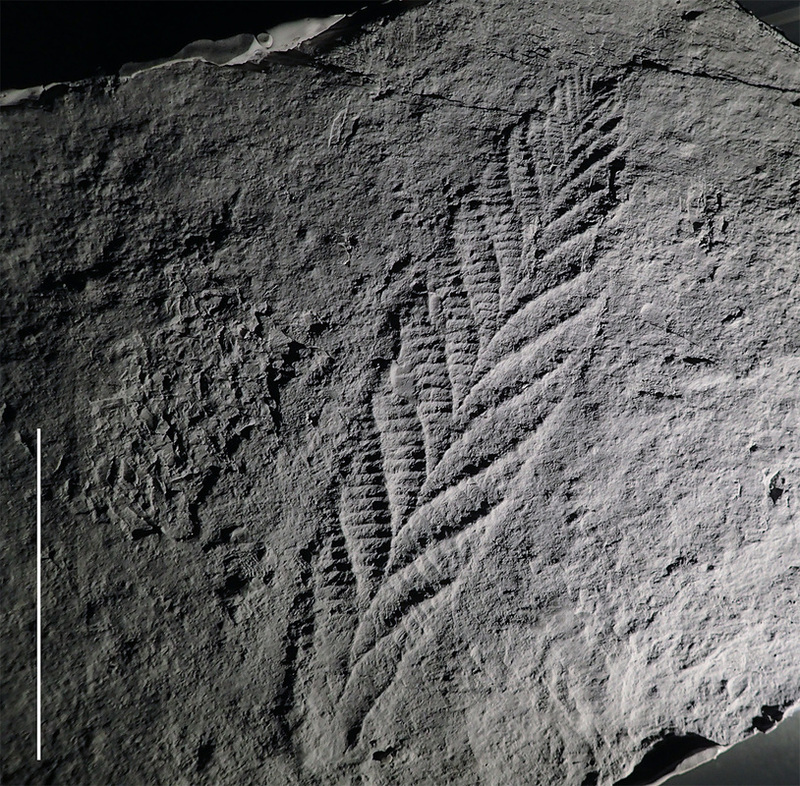 The organism appears to be able to exhibit considerable variation in morphology within populations, with a longer, slender version of the frond known from beds in Newfoundland (Dunn et al., 2018). Charnia is known from specimens as small as only three centimetres (Liu et al., 2012), up to the largest specimens that were over 60cm in length (Ford, 1999). The largest specimens were originally described as a different species, Charnia grandis, on account of their size, but it has since been recognized that it actually they are just large Charnia masoni specimens (e.g. Antcliffe & Brasier, 2008). Frond unipolar, comprising two rows of primary branches arranged alternately along a tightly furled central axis, forming a zig-zag suture. First-order branches typically show proximal inflation, whereas second-order branches show moderate-to-medial inflation. All first- to third-order branches are aligned in markedly subparallel series, with furled margins, having rangeomorph elements that are rotated and undisplayed. A basal disc is sometimes preserved.